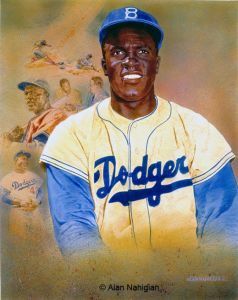 The last day of January is a special day for Dodger fans and humanity in general as it is Jackie Robinson’s birthday. He would be turning 100 today if he were still with us. 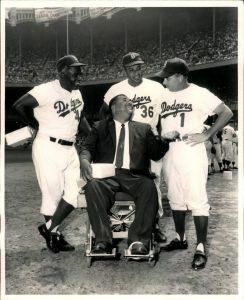 The legendary Dodger hall of famer and civil rights pioneer will be honored throughout the day. There will be a free screening of the film The Jackie Robinson story to be showed at the South Pasadena Public library on Thursday night. The free event will take place in the Library community room at 6:30 PM and is sponsored by the South Pasadena Public Library, the Friends of the South Pasadena Public Library, and the Lucille and Edward R. Roybal Foundation. The Dodgers will also be honoring Jackie with a party at Dodger Stadium to host 250 children from the Union Rescue mission. The party will have a DJ/dancing, a tour of the Jackie Robinson pop-up museum, and everyone will sing happy birthday to Jackie. The festivities will also begin at 6:30 PM. Unfortunately you won’t be able to attend both events, unless you can be in two places at the same time. Here’s the press releases for both events. 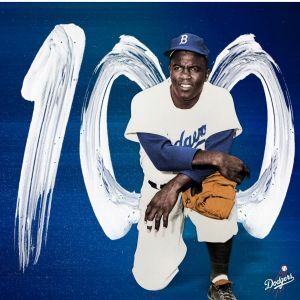 In honor of the 100th Birthday of Jackie Robinson (1919-1972), a free screening of “The Jackie Robinson Story,” a classic 1950 film starring Jackie as himself will be presented at the South Pasadena Public Library . The free event for all ages will be celebrated in the Library Community Room on Thursday, January 31 at 7 pm on the eve of Black History Month. It is sponsored by the South Pasadena Public Library, the Friends of the South Pasadena Public Library, and the Lucille and Edward R. Roybal Foundation. “The Jackie Robinson Story” was initially released to theatres in 1953 during the era of racial segregation but was nonetheless accorded critical praise and strong box office receipts. It featured an outstanding performance by Ruby Dee as Jackie’s wife, Rachel Robinson. 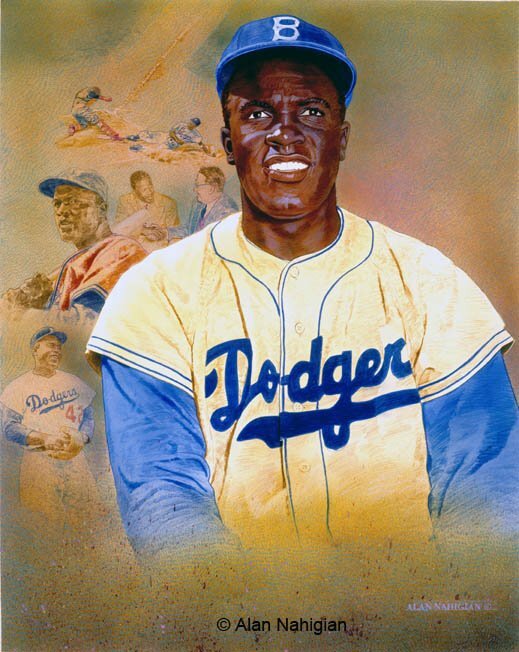 Although not a professional actor, Jackie Robinson’s potentially difficult portrayal of himself also earned high praises for its confident assuredness and restraint. And as might be expected, the re-enacted baseball scenes are outstanding –and in many ways they are superior to those in “42”, the 2013 Jackie Robinson motion picture starring Chadwick Bozeman. Introductions to the film will be made by Mark Langill, Official Historian of the Los Angeles Dodgers, and Alex Boekelheide, Executive Director of Strategic Communications and Marketing, Pasadena City College. The South Pasadena Public Library Community Room is located at 1115 El Centro Street. Doors will open at 6:30 p.m. no tickets or reservations are necessary, and refreshments will be served. Special surprises are planned as well. 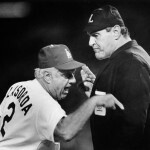 Thanks to the Los Angeles Dodgers, Pasadena City College, 210eastsound, Videotheque, The Rose, and Movie Licensing USA. For more information, please call the South Pasadena Public Library at 626 403-7350. The Los Angeles Dodgers will celebrate the 100th anniversary of Jackie Robinson’s birthday tomorrow, Thursday, January 31, by hosting a celebration for 250 children and parents from Union Rescue Mission. The birthday party runs from 6:30-8:30 p.m. in partnership with Worthy of Love, a non-profit organization that hosts monthly birthday parties for children living in the Union Rescue Mission in Downtown Los Angeles. The program will begin at 6:30 p.m. at the Jackie Robinson Statue (in Lot B), where participants will sing “Happy Birthday” to Robinson. Other activities include a tour of the Jackie Robinson exhibit at the club’s Pop-Up Museum Presented by Mastercard followed by DJ/dancing, a photo booth, a balloon artist, face painting and a petting zoo in the Stadium Club. 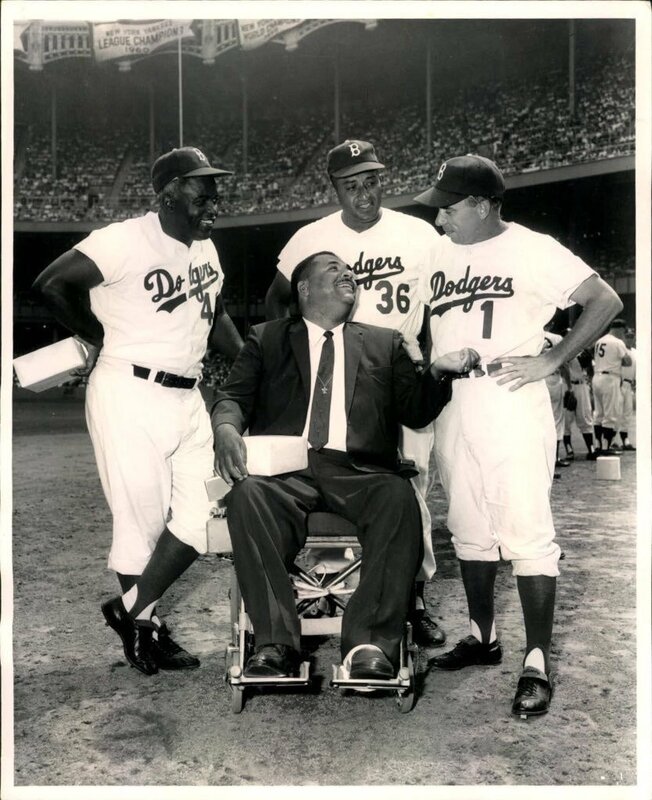 The team will continue to celebrate Jackie Robinson and his legacy with a special educational tour of Dodger Stadium, which will be held on Saturdays and Sundays at 3:00 p.m. during the month of February. 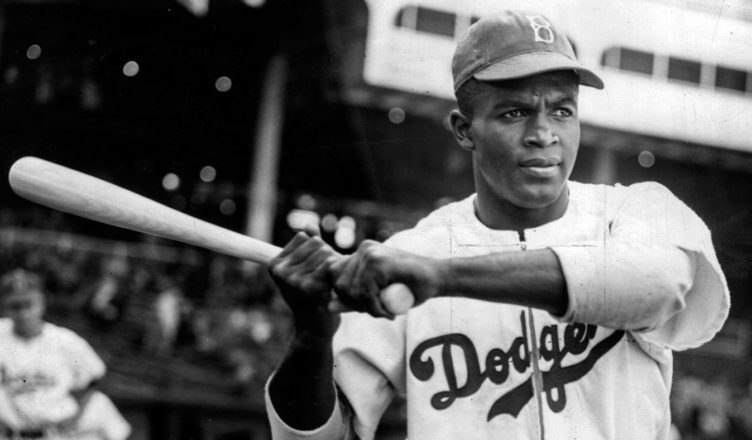 The hour-long tour highlights the life, career and influence of Jackie Robinson, and will also include admission to the Jackie Robinson exhibit at the Pop-Up Museum. More information can be found at Dodgers.com/Tours. Just think how good this guy was, and then how good he would have been had he started his career sooner. He was 28 when he played his first MLB game. Maury Wills was close to that same age when he came up. The Dodgers are starting something this year called the Legends of Dodger baseball. Kind of like a Dodger Hall of Fame. Garvey, Fernando and Newk are going in this year sometime. Those inductions will be celebrated with a bobble head of those players. Jack: I’m a Dodger fan and my brain has been melted by the last two World Series losses, pessimism is all I know. Can you convince me that Keibert Ruiz isn’t Dioner Navarro? Eric A Longenhagen: I have a 7 on his bat and he has the most accurate arm I’ve ever seen. Sir Nerdlington: Do you believe in the changes Gavin Lux made? He’s not on the 40-man but is there a chance he plays in Chavez Ravine this year? NotGraphs Revivalist: Very random question – which pitchers in the top 100 prospects would you expect to have the heaviest ground ball rates? Eric A Longenhagen: uh, Kyle Wright or Dustin May? Joe: Would it make any sense for the Dodgers to trade Ruiz in a deal for Realmuto? Keith Law: Definitely not. And I don’t think they will. Kevin: I believe Mitch White made a midseason list or was at least a name to watch for you previously, did you get to see him last season? Any chance he ends up getting a spot start with the Dodgers this year? Keith Law: He was on my midseason list over in 2017. Has had trouble staying healthy, and when he’s pitched his stuff has varied widely. Bilal: who’s getting the bulk of the starts behind the plate for the Dodgers by the All-Star break: Barnes, Smith or Ruiz? Nook: Is Bellinger still young enough to make significant strides offensively, or do you think 2018 was a realistic showing of who he is? Keith Law: He’s still 23 so age isn’t a concern, but the way he swings leaves him vulnerable to a couple of pitching plans and he has to show he can adjust and shorten up if he wants to be more than he’s already been. Kimmy: Dennis Santana: 4th-starter ceiling? Keith Law: More likely reliever for me. I feel like if he starts he’d be more than that, but the odds are he’s a reliever. Ave Maria: Is there a pitcher in the Dodgers system you’re particularly high on at the moment? Keith Law: Several. You’ll see a couple of those names Monday-Wednesday. Mike: Thoughts on Dodgers trading away Puig (and friends) and replacing him with older and injury prone AJ Pollock? Keith Law: Puig was a free agent after the year, so your question is leading, omitting a critical detail – and Pollock may be older but he’s a better all-around player right now. Shane: Have you heard any whispers about what type of punishment the Dodgers face for their international issues and if that is playing a hand in their offseason moves? Keith Law: I haven’t heard a word about it nor have I asked. Not really my department. Jason: Is Pollock better than Joc Pederson over the next two years? Anuj: Is Ruiz and J. Gray for Realmuto too much, fair, or too little? Keith Law: Too much, and the Dodgers are not trading for a terrible framing catcher. I have a couple of small statuettes of Jackie. I have the one they gave away at the stadium that is a copy of the one at the stadium. I also have one of Jackie swinging a bat that I found on ebay. I found a ceramic baseball card of him on ebay also. I treasure those. I only wish I had the chance to see him play in person instead of just seeing him on TV. Arenado signs for 26 million. Duke to the Reds. Nothing on the Dodger front and not a word on Realmuto. Keith Law says that by the all star break most of the games being caught will be by Will Smith. Interesting since Smith is not on the 40 man roster. I think Law answered that Smith would get more than Barnes or Ruiz. It was a clumsily asked question. Perhaps a clumsily spoken answer? It was a one word answer!